Whether taking a young child to a restaurant or on a plane trip, you have your hands full keeping your child entertained and behaving appropriately. 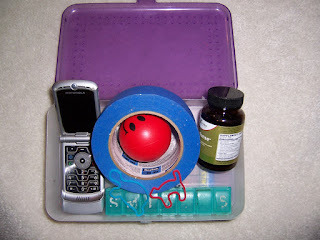 One mom shared that her key to success was creating a special plastic box to take along on these occassions. A number of moms chimed in that painter's tape was a favorite with their children. Ripping little pieces of the tape and creating art in various places was a popular activity. By having a box filled with everyday items, she kept her young daughter happily playing away! Thank you for sharing this list. I forget now that my daughter is seven of the useful items to take when traveling. Have a great day! With so many of us parents traveling with kids, your ideas are fun and useful. Many thanks. What Will Your Children Remember?